Upcoming sci-fi action RPG The Surge today reveals 14 minutes of gameplay with commentary from Deck13 Game Designer Adam Hetenyi. Explore the dystopian environments in CREO's mysterious industrial and RND complex, the Abandoned Laboratories. 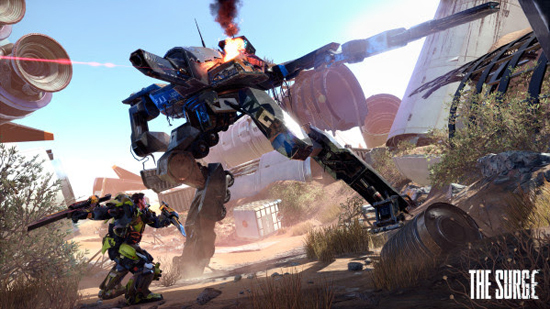 The Surge features vertical and horizontal attacks, which are used in combination with parries, ducks and jumps as well as a boosted dodge - courtesy of your exoskeleton - culminating in swift, snappy, precise combat situations unlike anything experienced before. Face the dangers of CREO and set your own challenges. Accept missions, learn more about CREO's history and lore, and fight the various mini-bosses scattered throughout the environment, or play it safe and struggle to survive - it's up to you.